FUEL EFFICIENT 26 MPG Hwy/19 MPG City! White Diamond Pearl exterior and Black interior, RTL-T trim. CARFAX 1-Owner, Superb Condition. 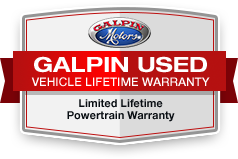 Nav, Heated Leather Seats, Satellite Radio, iPod/MP3 Input, Onboard Communications System, Back-Up Camera, Bed Liner, Tow Hitch, Rear Air, Alloy Wheels, Serviced here at Galpin, Originally Sold at Galpin, Comes with Galpin's Lifetime Used Car Warranty.